The Big Question: Where Do I Start? One of the main questions I hear from a company as we begin working together to develop a content strategy is “where do I start?” This is a good question because there are lots of options and ways grow your business through digital marketing. To help you get started, you can use online marketing tools for small business owners to help you find, optimize, and publish great content. Often all the options can be confusing and paralyze any decisions from taking place. How do I know what content is best for my business? 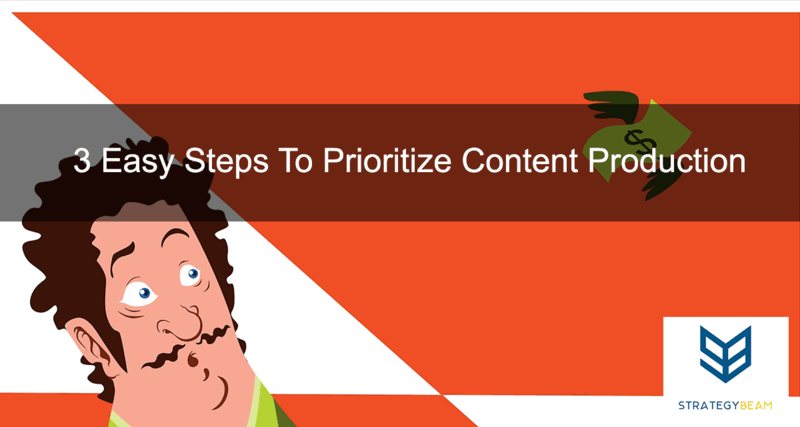 What can I expect to see from my content marketing efforts? Who will my content impact and how will that benefit my business? Below is a guide a great Internet marketing strategy for your business by focusing on your audience, competition, and your business goals. This will offer insight on the different variables I consider each time a client is looking to build their audience and traffic through content marketing. Content is just a term to describe information that is consumed by your audience. You can think of different types of content like goods as a market- various types of products are purchased by various kinds of people. The same holds true for content because different industries need to reach their audience in various ways to capture and retain market share. Whether you are looking to build your content in-house or hiring a marketing consultant to help you get started, you should always begin by defining your audience and identifying their needs. If you don’t know who and why you are creating specific pieces of content, then you will likely waste a lot of time and energy. Start with the problems and needs of your audience, so the content you create will meet their needs. This is the most important part of any content strategy. I have seen several companies throw away tens of thousands of dollars because they started creating content before they knew their audience. Now that you have defined your target audience and the problems they are looking to solve, we want to begin looking at content ideas that will address those problems. This stage consists of a lot of detective work like looking at clues and lining up plans based on the actions of our audience. The information you gather at this stage will have an enormous impact on your content strategy, so be as detailed as possible. Some businesses rush through this stage of planning because they are excited to jump into creating content. They want to get right into writing blog posts and producing videos to drive more traffic to their site. However, it is vital to take your time and be thorough at this stage if you want to create valuable content that is based on audience intent. You can gather most of this information from Google Keyword Planner and other free tools like SEMRush. Be sure to keep a spreadsheet of your findings so you can get a good feeling on what people are searching for (demand), what content is already available (supply), and where they are currently looking. Identifying your competition is an essential part of building a successful content strategy. Competitive research is detective work similar to keyword research, but using audience intent as a lens to evaluate your competition. Find missed opportunities to fill with new content. These opportunities are called the Content Gap, and they serve as gold mines incomes to content marketing. Identify areas your competition dominates. Don’t plan on targeting these topics and subject matters at first until you have established your strengths. 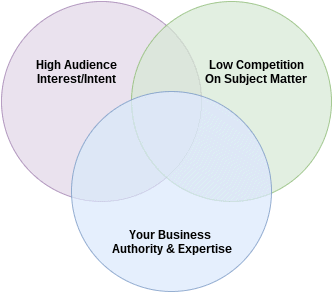 Identify areas where your business has knowledge/authority compared to your competition. The points where you hold greater market share are areas, you can carve out and claim depending on value and growth potential. I suggest creating a list of 5-6 competitors as you work through your research. The importance of this exercise is not to create an exhaustive list of all your competitors, but to provide you with insight on opportunities to explore down the line. What businesses are using Pay Per Click (PPC) advertising? What companies are showing up on the local mad listing? What businesses display in organic? What content do these companies rank for? What topics are your competitor’s authorities on? Taking these aspects into consideration will allow you to survey the landscape before you dive into the forest. Think of this as mapping out the terrain, and getting a “bird’s eye” view of your surroundings so you know where you should go and what you should do. Moving forward we are going to use the spreadsheet of keywords and competitive research to direct upcoming decisions. At this stage, you are going to look ahead and figure out what you want to accomplish so you can create content to help get you to the destination. Your business decisions need to guide your marketing tactics, and your marketing tactics are validated by Key Performance Indicators (KPIs) as you run your campaigns. 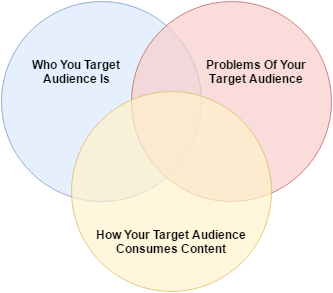 What types of information is your target audience looking for? Reference your keyword research to understand interests and intent of your audience. What topics and subject matter can you dominate in your market? Look at your competitive analysis to identify areas that you can outshine your competitors. Determine your business goals and where you are leading your business in the coming years. Increase website traffic by 15% of the next year. Generate an additional 200 leads through organic blogging by the end of the next quarter. Average ten comments on each Facebook post within the next 14 weeks. Grow email list by 1,000 subscribers within the next six months. Boost time on page by 20% for each user by the end of this year. The goals that your business wants to achieve will depend on some variables like audience interest, the status of your competition, how your company is positioned in the market, and resources available for content production. Based on the needs of your audience, your keyword research, and competitive analysis you will be able to plan a successful content strategy for your business. Once you have all that information you will need to create a content calendar, assign resources for content production, and begin your marketing campaigns! If you want professional guidance, then get in contact with me and let’s get your business growing! I also offer award-winning copywriting services, so if your business needs content produced then I am the guy you need to talk to! Now it’s your turn! Tell us how you create your content strategy, and if you think I missed any steps along the way!